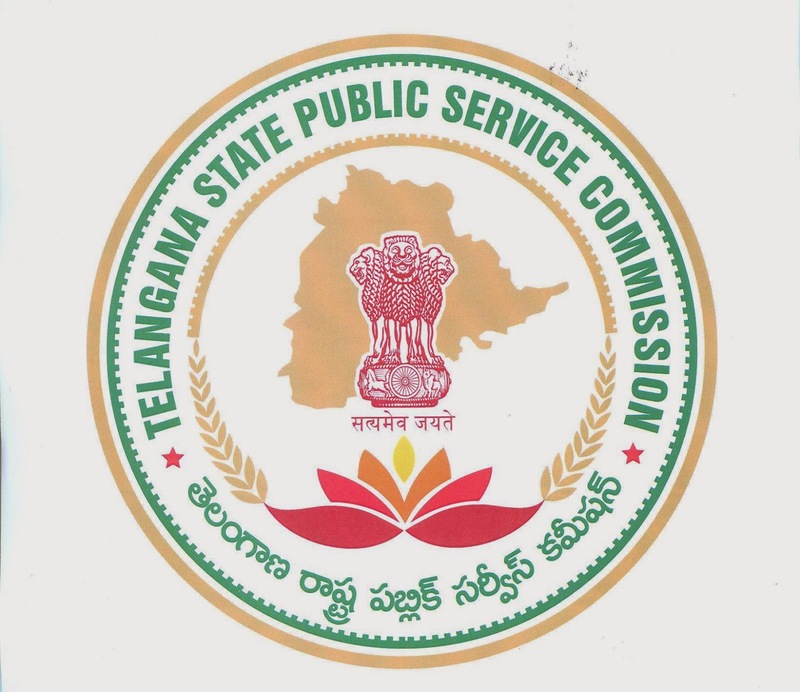 The Official logo of Telengana State Public Service Commission(TSPSC) is envisioned based on morality wisdom and integrity. It is a blend of Regional and Cultural identification of the newly formed Public Service Commission, Which aspires to embrace both dignity and intellect. The Visual Vocabulary of the design represents both knowledge and sovereignty which guarantee good administration and service aiming at incessant growth of Haritha(Green) Telangana. The insignia is created using Gold and Green Colours with a conscious effort in bringing out the characteristic features of the existing official insignia of Government of Telangana that predominately signifies the Bangaru (Golden) Telangana. The design that is encircled by thick Green and Gold Contours includes the geographical mapof Bangaru( Golden) Telangana Superimposed by the Asiatic lion capital, with the axiom "Satyameva Jayate" in Devnagari and the floral motif in the below. The Green Colour epitomizes the assurance in eastablising peace and tranquility, a key aspect of the Telangana State Public Service Commision. The Gold lop is an embodiment of Values and rightousness, a futuristic intention of the State in shaping up Telangana as Bangaru( Golden) Telangana. The crux of the design is the multi-hued blooming floral motif, which is inspired by the primordial Lotus symbol, a metaphor for life and virtuosity. The Motif resembles a lamp (an embodiment of 'search for knowledge'), an open book(an 'unwritten and prospect) and a mound of various flowers symbolizing 'Bathukamma' the Goddes of Life.